So Abram left, as the LORD had told him; and Lot went with him. 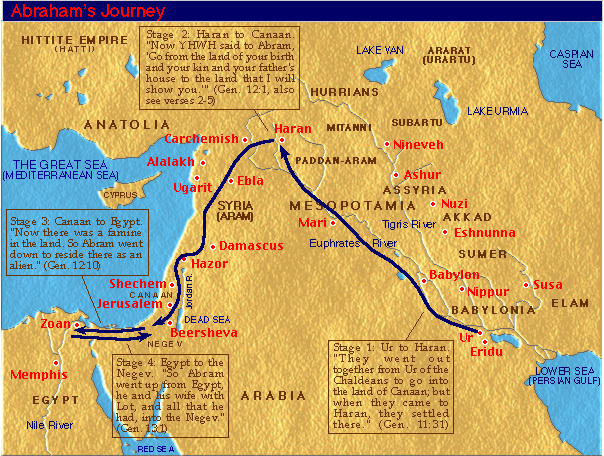 Abram was seventy-five years old when Abram set out from Haran. 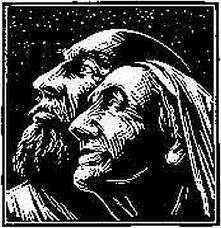 Abram took his wife Sarai, his nephew Lot, all the possessions they had accumulated and the people they had acquired in Haran, and they set out for the land of Canaan, and they arrived there. Abram traveled through the land as far as the site of the great tree of Moreh at Shechem. At that time the Canaanites were in the land. The LORD appeared to Abram and said, “To your offspring I will give this land.” So Abram built an altar there to the LORD, who had appeared to Abram. Create a timeline of your life. When and where did you experience the call or presence of God? The first time I remember feeling God’s presence was at church camp when I was 11. As we were sitting around the campfire looking at the stars, the counselors presented the salvation story and issued an invitation to become part of God’s family. The next memory I have of feeling God’s presence was as a teenager. I’d gone outside at night and looked up into the vastness of the heavens, and wondered how in a universe so large God could find a tiny person called Brenda on a small blue planet called earth. When my father was dying on a December evening in 1989, I remember looking out of the hospital window at the falling snow and feeling God’s presence on that Silent Night. To this day, that Christmas Carol has special memories for me. After my divorce, I was struggling with being single – some days it was overwhelming raising 3 teenagers by myself. As I was considering dating someone again, I heard a small voice say “not yet” so I waited. It was quite freeing knowing that God had a plan for me and very exciting to patiently wait to see how it unfolded. It was well worth the wait to meet Dan McCombs and become his wife. Finally, this week, I spent the afternoon in another quiet hospital room holding my seventh grandchild, another of God’s miracles. This time, God’s quiet presence was a moment of joy for a beginning life, rather than a moment of sorrow at a life’s end with my father. We spent some time speculating about what wonderful things Carson will experience by the time she graduates from college. One that will always be the same – God’s presence in our lives.